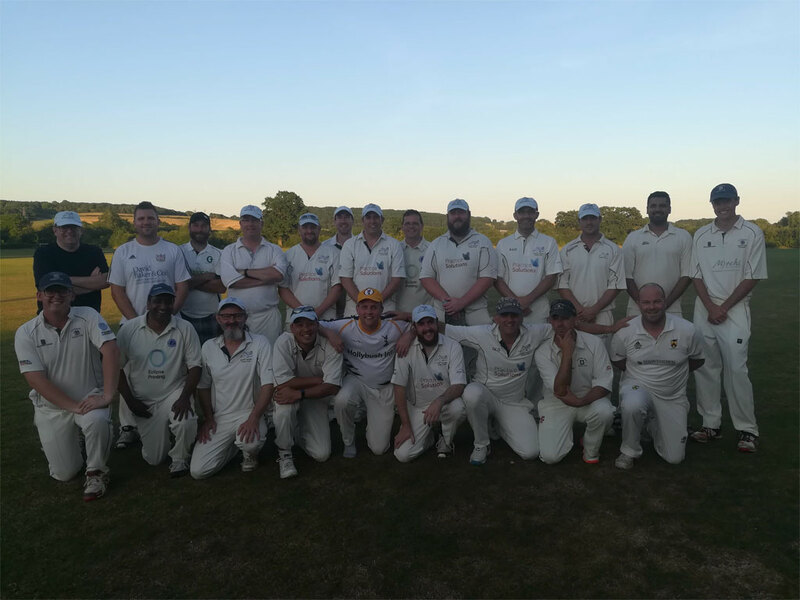 Big thanks to Chris Stork for organising the Willow XI; Dale Owen for skippering and the players for making the match very enjoyable. The team picture is below and report is here. 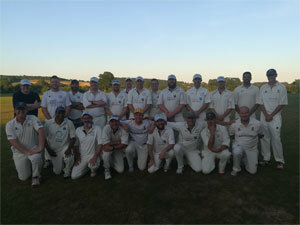 Chartered Trust and The Consmen were able to contest the Cup Final at Radyr CC. 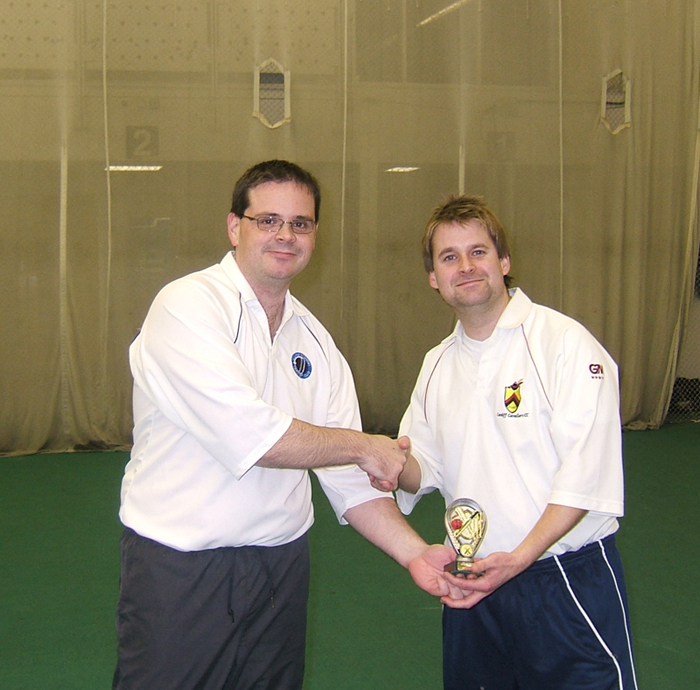 The first year of the Willow Indoor Cricket League was won (with one game in hand) by the Cavaliers. 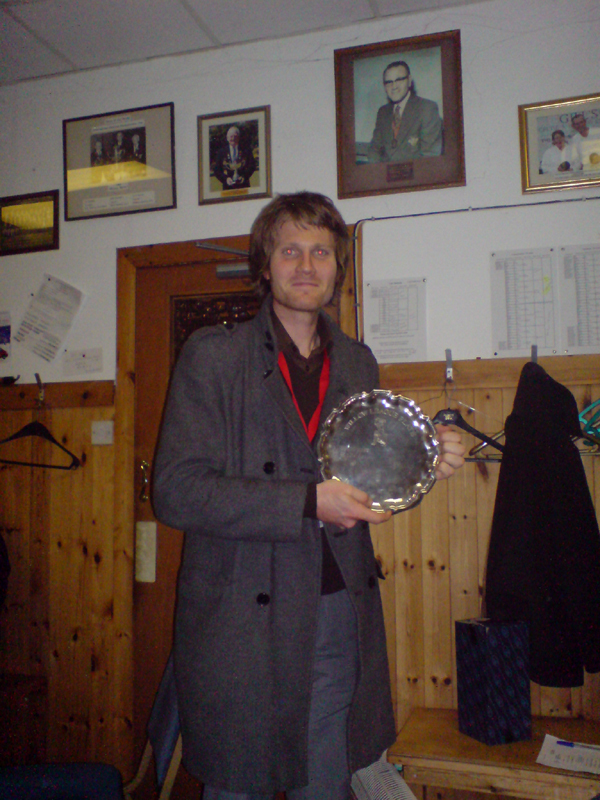 Match results and league table can be found on the Willow Forum. Chris Stork presents Jimmy Marchant with the 'throphy'. 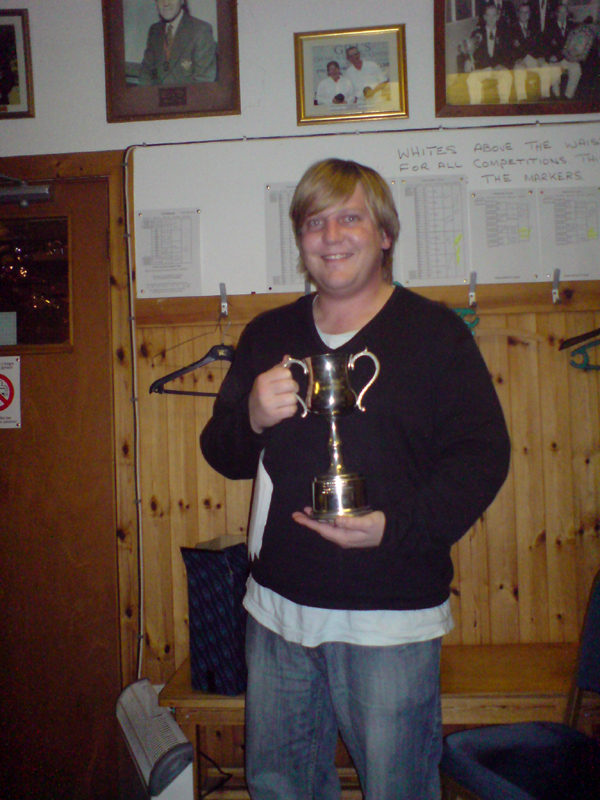 The 2008 AGM was held at Rhiwbina Recreation Club. 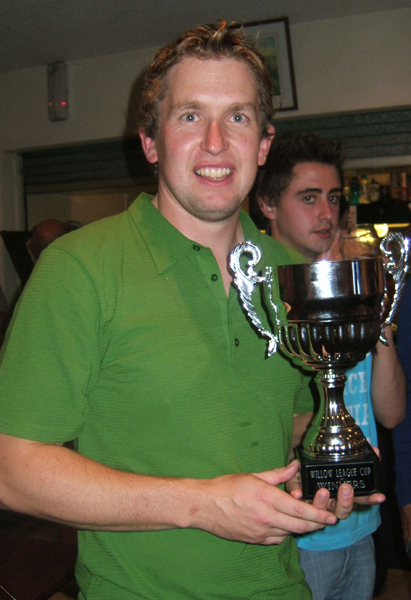 The Willow League this season entered a side into the Sohia Gardens Winter Indoor League 2007/08 for the first time. The results were a mixed bag, though the bag was mainly full of losses, with one victory standing out above the rest! 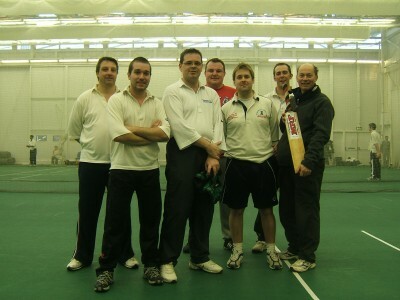 Players from the following teams represented the Willow League VI during the indoor competition: Casuals, Cavaliers, Consmen, Rhiwbina, Sevenoaks, South Glam. 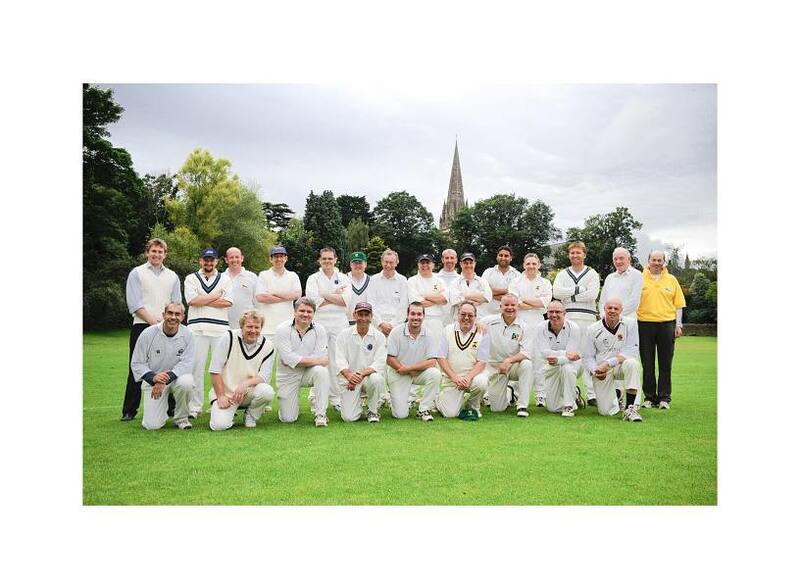 Thanks to everyone who played, especially to Chris Stork who only missed one game and captained from behind the stumps with much enthusiasm; and Jeremy Sparks who organised the teams each week. Hopefully everyone who took part enjoyed it and look forward to seeing you during the outdoor season.